Places such as the Maipo Valley are unique. 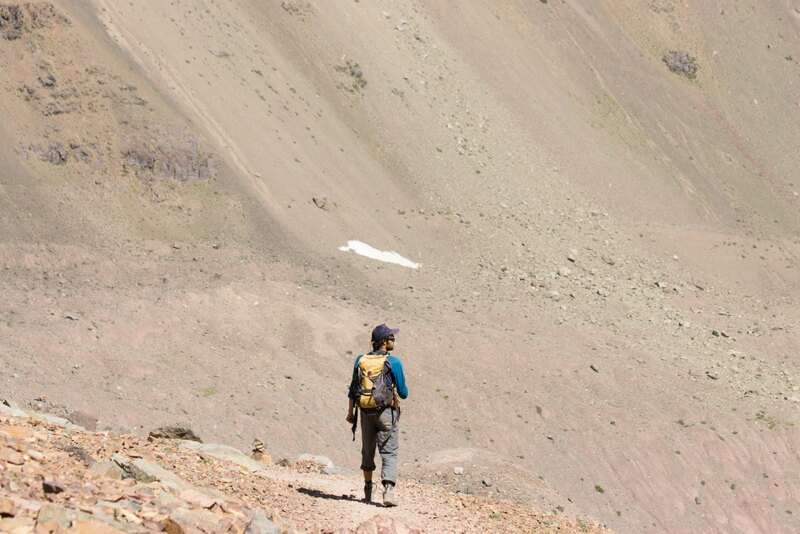 A perfect valley for trekking, surrounded by snowy mountains, over 5,000m high, very close to the city of Santiago, where we can cross the River Maipo and see San José volcano and several villages. After the hike, our reward will be the arrival at the comfortable and peaceful hotel located on the mountain. The following day, we will go to Pirque to visit the chosen vineyard for the finale of this spectacular mountain experience. Cajón del Maipo is a historic Andean valley in the southeast of the Chilean capital. It is home to beautiful mountainous landscapes – some of the central zone’s most stunning views. Here, we will be surrounded by mountains, volcanoes, glaciers, hot springs, rivers, and animals such as the majestic condor. 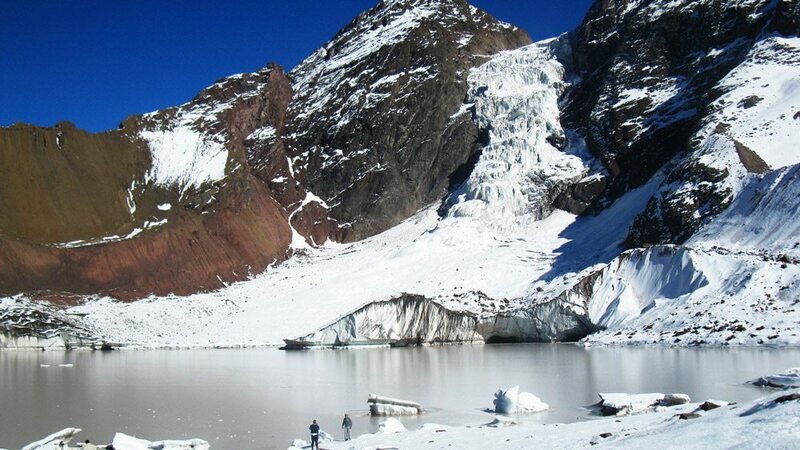 We will walk through a valley located near the Argentinean border, where we will be able to see the San Francisco glacier and the Cerro El Morado mountain chain. 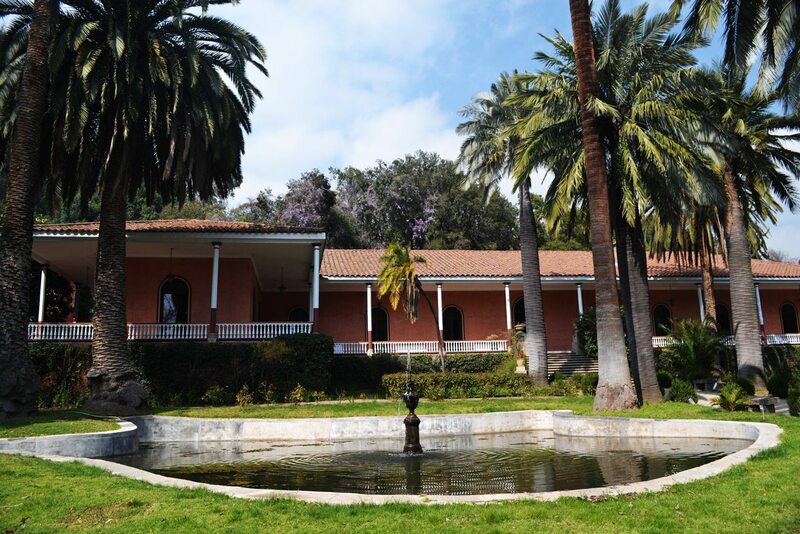 We will stay in a hotel located in the San Alfonso región opposite the river Maipo, surrounded by hills and forests. We will also visit Pirque, where Chile’s best Cabernet Sauvignon is produced. 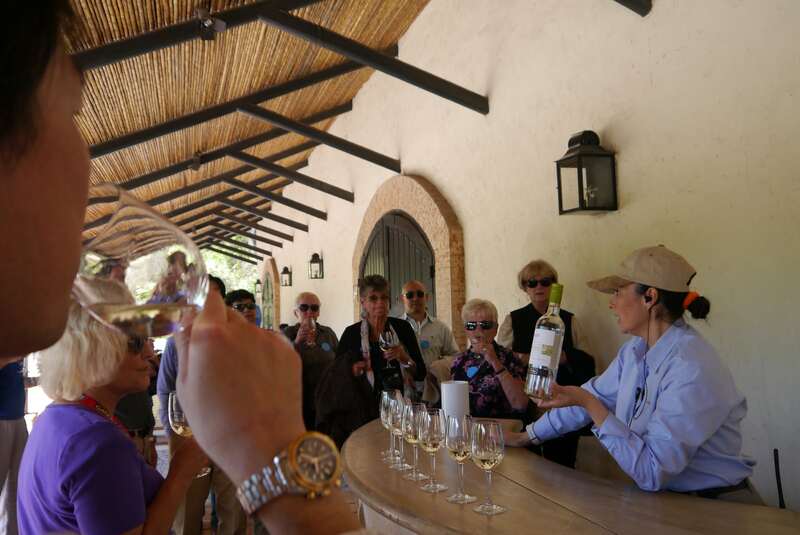 Here, we will tour some of the region’s oldest vineyards, taste their delicious wines and be immersed in their stories and knowledge. 2 Cajón del Maipo, San Alfonso & Pirque Wine Experience . 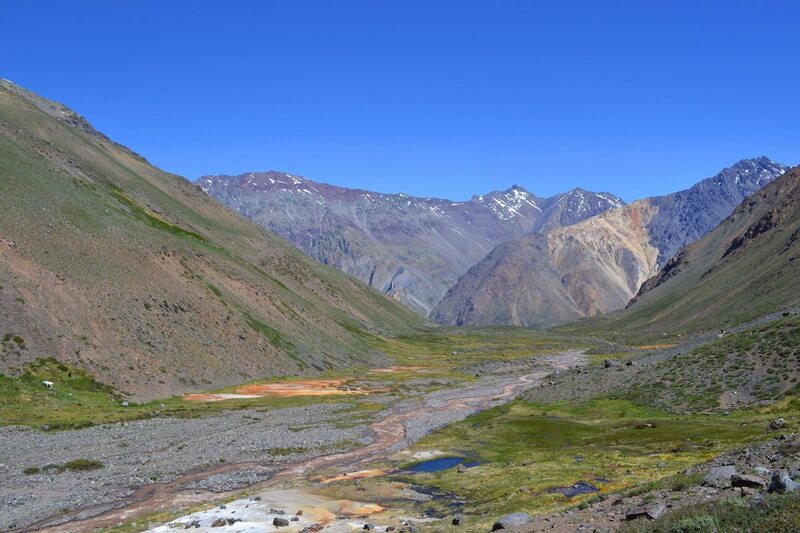 After you are picked up from your hotel in Santiago, we will drive to Cajón del Maipo, where we will stop at a local market to pick up our lunch for the hike. Then, we will go to the town of Baños Morales, located at 1,850m above sea level, where we will embark on our hike to the El Morado Natural Monument, which covers the San Francisco glacier and is home to attractions such as the El Morado peak and the Panimavidas locality, made up of subterranean mineral waters. Along the way, our guide will tell us all the stories and facts of the region. At the end of our trek (5-6 hours in total), we will head back to our transport to be taken to our hotel in San Alfonso (also located in a mountainous region of Cajon del Maipo). Once we have checked in, we will be ready to shower, eat dinner and enjoy the tranquility of the night, whether by a bonfire or in the hotel’s hot tub. Our second day will begin with the peace and quiet of the Andes mountain range and a delicious breakfast at the hotel. We will have some free time to make use of the pool and other facilities in the hotel. 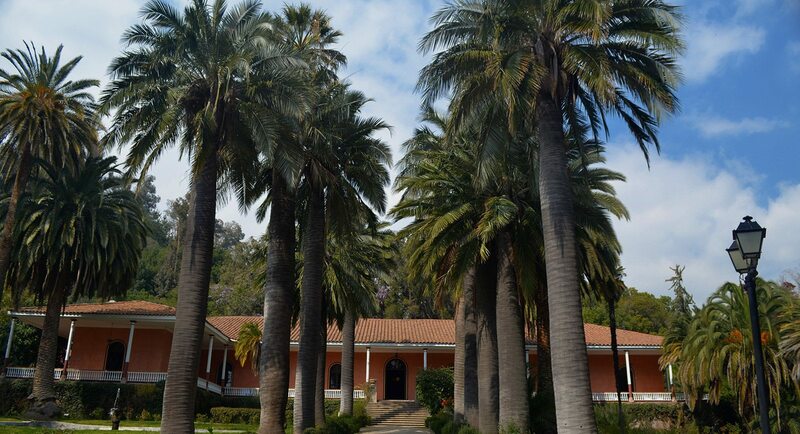 Then we will have a good lunch and get ready to visit Pirque, where we will explore one of the most famous and unique vineyards in the region. 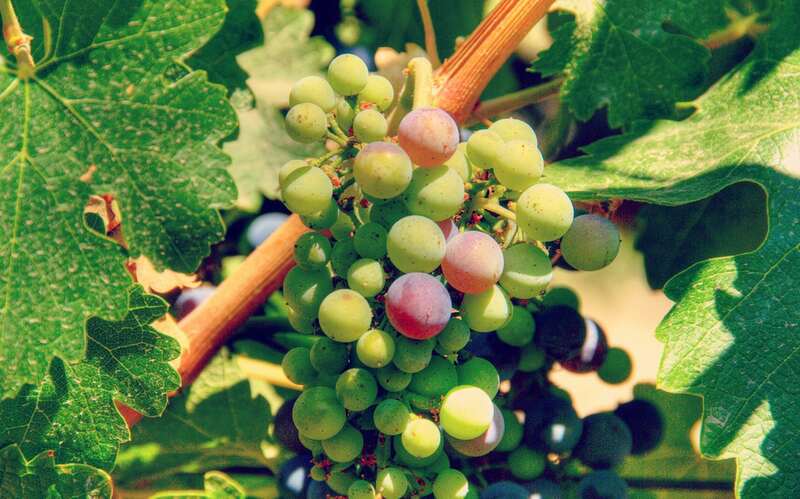 We will sample different types of wine, learn about its history, and tour the grape fields. Our “Santiago Escape” experience will finish back at our Santiago hotel. Subject to favorable weather conditions. If it rains or snows, you will take an alternate route and visit San Jose Volcano and the village of Baños Morales instead of the reservoir.